SAW010250 SCOTLAND (1947). 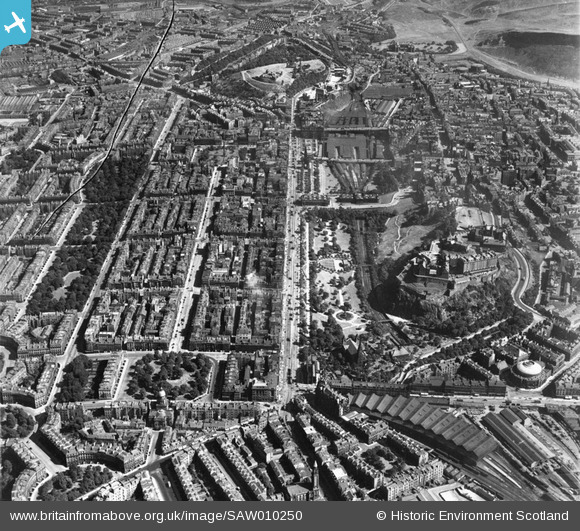 Edinburgh, general view, showing Princes Street and Edinburgh Castle. An oblique aerial photograph taken facing east. 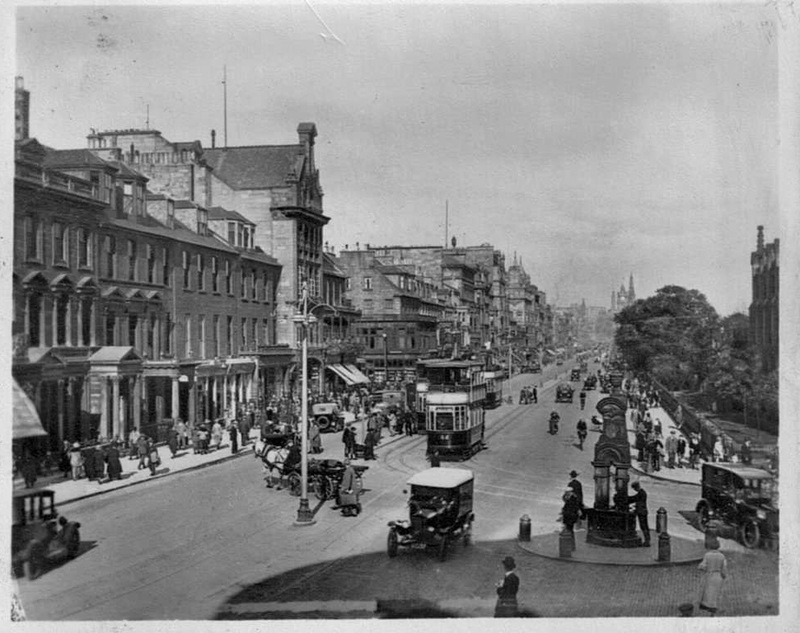 Title [SAW010250] Edinburgh, general view, showing Princes Street and Edinburgh Castle. An oblique aerial photograph taken facing east. Site of Younger's Brewery - now the location of the Scottish Parliament. 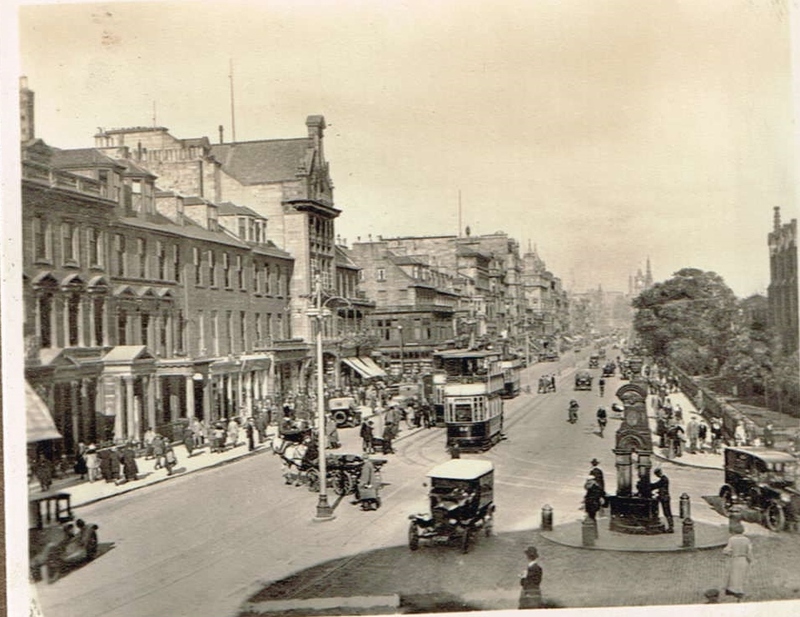 Princes Street looking east, Easter 1933 from a family album.